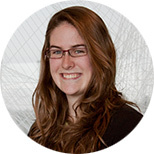 While at IHME, Hannah worked on the Optimal Resource Allocation research team. After IHME, Hannah moved to Boston to pursue a PhD in Biomedical Engineering at Boston University. Thomas B, Wulf S, Bikbov B, Perico N, Cortinovis M, de Vaccaro KC, Flaxman A, Peterson H, Delossantos A, Haring D, Mehrotra R, Himmelfarb J, Remuzzi G, Murray C, Naghavi M. Maintenance dialysis throughout the world in years 1990 and 2010. Journal of the American Society of Nephrology. 2015 Jul 24. doi: 10.1681/ASN.2014101017.